Going back in time to research your ancestors is an adventure, it’s pure time travel deep into your past! Our professional genealogists will take you on a fascinating journey into your family’s past, a journey that may surprise you, shock you, move you, but above all will bring you closer to knowing who you are. 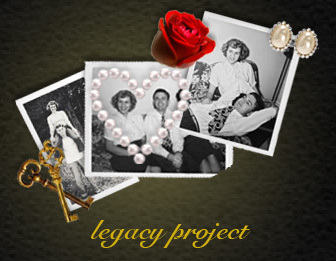 Each one of our packages represents a specific type of journey into your family history. Perhaps you only need a day pass for a quick jaunt to solve a specific question, or maybe you would like to spend more time with meeting your various ancestors and learning more about their daily lives as far back as possible, in one of our Excursion packages. Whatever your need, we can tailor a package to the specific genealogy journey you desire. So welcome aboard, buckle up and enjoy the journey. Just-the-right trip to embark on your ancestral research and begin to reveal your personal family history. The first step of your family tree journey starts here. Begin by using census research, LDS research, Family search and Family History Library records, to document the first branch of your tree. Find grandparents, or even great, great grandparents.. Organize your data. Document your ancestry. Begin your pedigree. Choose the 10 hour Excursion to start your family tree today! 10-hour time block. $750. Just-the-right trip to expand on your beginning family tree, and delve deeper into your family legacy. Continue the journey of documenting your family pedigree, and establishing your lineage, by exploring and adding multiple generations of ancestors, and focusing on one side of your lineage, either maternal or paternal. Completed project provides family pedigree, research calendar, copies of all sourced records, as well as a rich narrative style report on the lives of your ancestors. Choose the 20 hour Explorer to focus on either your maternal, or paternal side, of the family for domestic research. Create a stunning and professional family pedigree that your family will treasure for generations to come. 20-hour time block. $1499. Just-the-right trip to expand on your beginning family tree, and delve deep into your family legacy. Continue the journey of documenting your family pedigree, and establishing your lineage, by exploring and adding multiple generations of ancestors on both your maternal and paternal lineages. Completed project provides family pedigree, research calendar, copies of all sourced records, as well as a rich narrative style report on the lives of your American ancestors. Choose the 40 hour Expedition to focus on either your maternal, or paternal side, of the family for domestic research. Each Expedition package comes with a visually spectacular 25 page mini Legacy Book. Create a stunning and professional family pedigree that your family will treasure for generations to come. 40-hour time block. $2800. Just-the-right trip when you want to take the the luxury voyage to the old country. Pick up from your beginning tree and trace your lineage, exploring and adding multiple generations of ancestors, on both your maternal and paternal sides of the family. Completed project provides family pedigree, research calendar, copies of all sourced records, photographs, as well as a rich narrative style report on the lives of your ancestors. Choose the 80 hour Safari package to take an international voyage on both sides of your family. Find living or lost relatives in your ancestral hometown. Visit the breathtakingly stunning cities of Europe through your family research by selecting the Oddessy package! Each Oddessy package comes with a visually spectacular 250 page full Legacy Book. in a Create a stunning and professional family pedigree that your family will treasure for generations to come. 80-hour time block. $5600. A luxury and fully customized ancestral tour where your visit the cities towns and villages where your ancestors lived. Track project progress 24/7 through client dashboard in Record Click’s project management system.